Kathleen believes to the core of her being that narratives shape the world and that artists have a responsibility to shape those narratives, and her mission is to make the world a more connected, compassionate, and inclusive place. To accomplish her mission, she creates and produces narratives with crews and content that shift paradigms and teaches and speaks on improving communications. Her current project is producing the OKAY Initiative which aims to support teens’ emotional health. The OKAY Initiative currently consists of a music video for a song called OKAY with music and lyrics by Ally Reichard, a student at Marjory Stoneman Douglas High School in Parkland, FL, and orchestrations by Bobby Cronin. The creative team hope to soon get covers of the song done by as many varied voices as possible and to eventually expand the OKAY Initiative to an online emotional health resource center for teens and their teachers. Her narrative work includes the web series Settling Up and the award-winning series The Evagelists. Settling Up is a web series about two former college roommates who end up living together again in their late thirties. Think Two Broke Girls meets The Odd Couple. The Evagelists (take the “n” out of “evangelist” and you get “evagelist”) is a feminist mockumentary/comedy web series about evangelists for feminism which uses comedy to address serious issues. In addition to the OKAY Initiative, her producing work includes narrative and educational videos for organizations such as Mindful Designs, the Center for HIV Educational Studies and Training, and the Institute for Sexual and Gender Minority Health and Wellbeing at Northwestern. Also through her company, Seanachie Communications, (“seanachie” is Gaelic for “storyteller”), Kathleen leads classes in storytelling and communications, coaches communications, and facilitates team conversations. She does speaking engagements on communications, listening, and storytelling. Speaking engagements include Google Women@, Raindance Web Fest, and the Future of Film Festival. As a performer, Kathleen’s favorite roles include Amanda in Private Lives, Catherine in Proof, Annie Sullivan in The Miracle Worker, and Patient in Dennis Lehane’s Coronado, a role she originated. She’s been seen regionally in America at places like the Walnut Street Theater, The Denver Center for the Performing Arts, and Northern Stage. 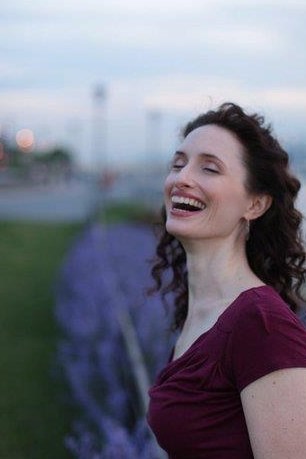 She was a founding member of Amios Theater Company and is an ensemble member of Barefoot Theater Co.
She holds fancy degrees from Yale University and The National Theatre Conservatory as well as certificates from academic programs in Germany. She also teaches fitness for Equinox, has a Wonder Woman collection, and can rap (poorly) in German.